Box 1: 145.0 x 73.0 x 230.0 cm. Box 2: 40.0 x 5.0 x 70.0 cm. Box 3: 65.0 x 40.0 x 105.0 cm. Box 4: 40.0 x 5.0 x 70.0 cm. Box 5-6: 145.0 x 73.0 x 230.0 cm. Box 7-8: 65.0 x 40.0 x 105.0 cm. 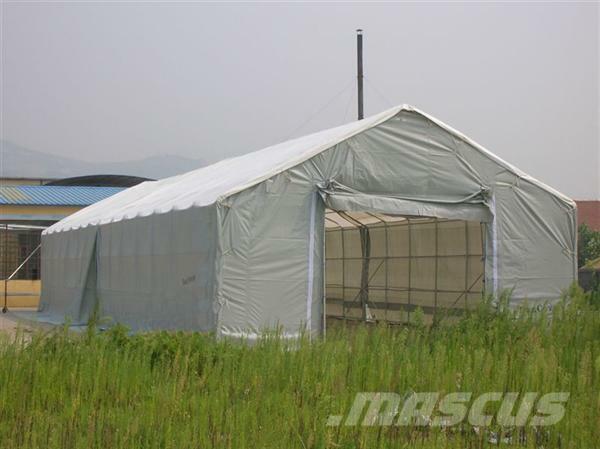 The bearing construction of our Titanium shelters is made of strong warm galvanized tubes. The tubes come with a rust-preventing surface treatment to ensure the expected long life span of the product. 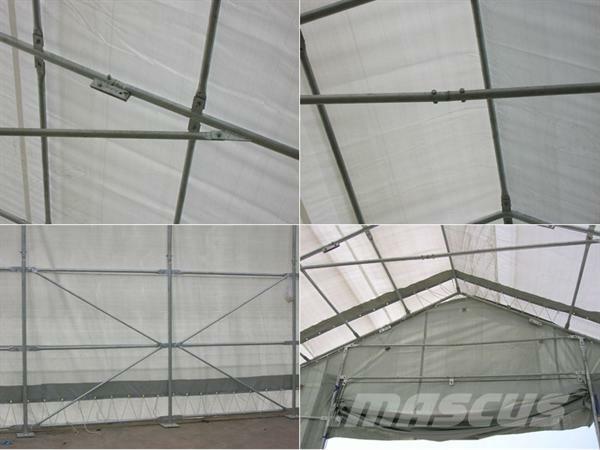 Its is a fully galvanized structure, assembled with heavy duty bolts and nuts. The frame consists of 13 vertical tubes as well as wind crosses in steel for the sides and the end walls. 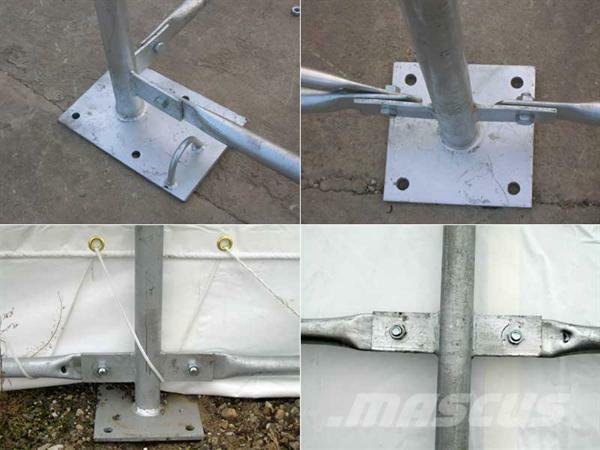 The shelter is secured with the supplied stake pegs. 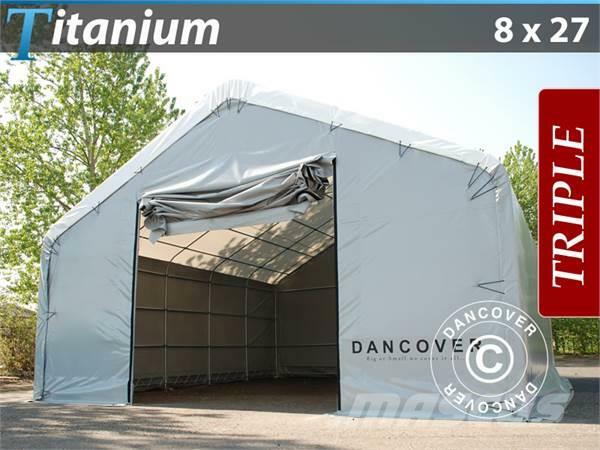 Our Titanium tarpaulin is made of state of the art PVC. The 3 layer rip-stop construction lacquered on both sides gives maximum strength and prevents the canvas from cracking. 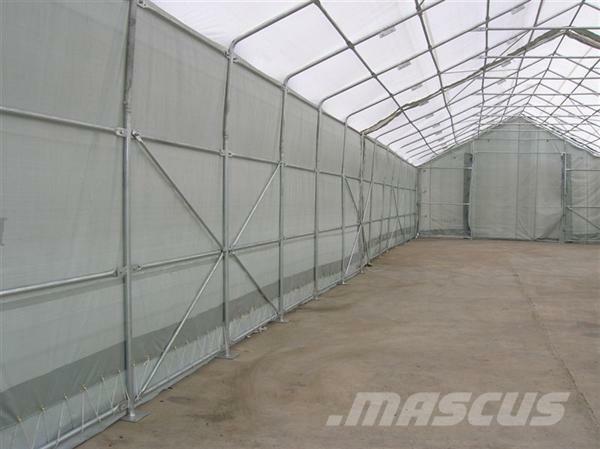 The tarpaulin is UV resistant and has a skirt of approximately 1 meter to be dug into the ground to stop the wind. 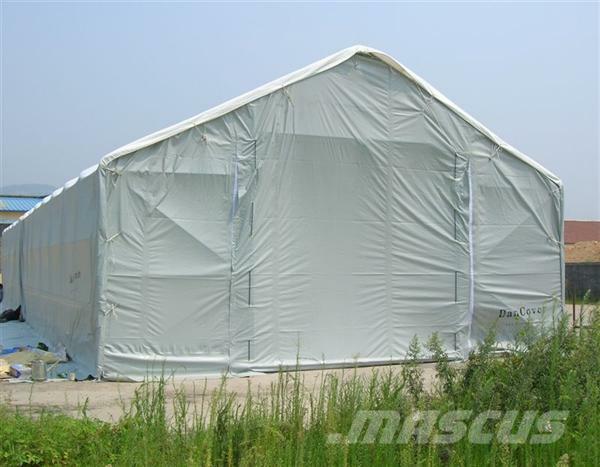 The tarpaulin is grey on the sides. 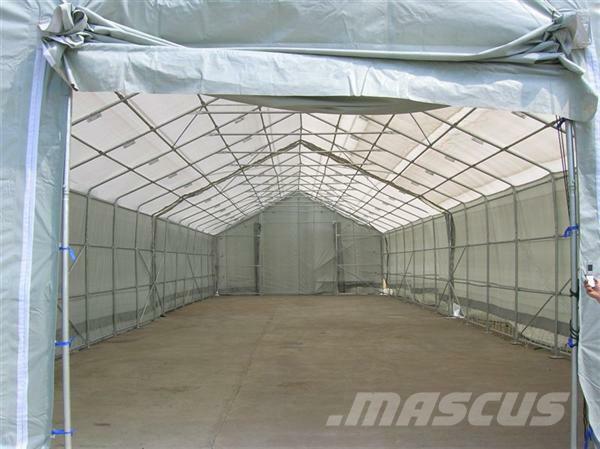 The roof section is made white to offer a comfortable and light environment inside the shelter.